late filing of a return. The penalty is five percent per month, up to a maximum, of 25%, of the tax due but unpaid by the due date of the return, which works out to be an annualized rate of 60%. Therefore, if your client fails to file the return on time there is an effective annual rate of interest in excess of 75% when you add interest and. late payment penalty. The late payment penalty after notice, on the other hand, is one percent per month, or an effective rate of 12% per year in addition to statutory interest. One1 drawback of filing a timely return without remittance is that the IRS will arrive at the taxpayer’s door to collect the liability much sooner than if he or she files a return late. However, the additional cost for penalties incurred to gain this time is prohibitive. Subsequent to the filing of a return without full payment, a taxpayer can remit partial payments on account. Such partial payments may prove particularly valuable in future ne­gotiations with the IRS regarding payment of the remaining balance. Many Revenue Offic­ers will view these payments as an indication of the taxpayer’s good faith. These pay­ments will also reduce the unpaid balance upon which interest and penalties are accruing. Your client should assure that he or she also pays all currently accruing taxes. A taxpayer may be able to secure a 60-month payment plan for 1040 liabilities of less than $25,000. 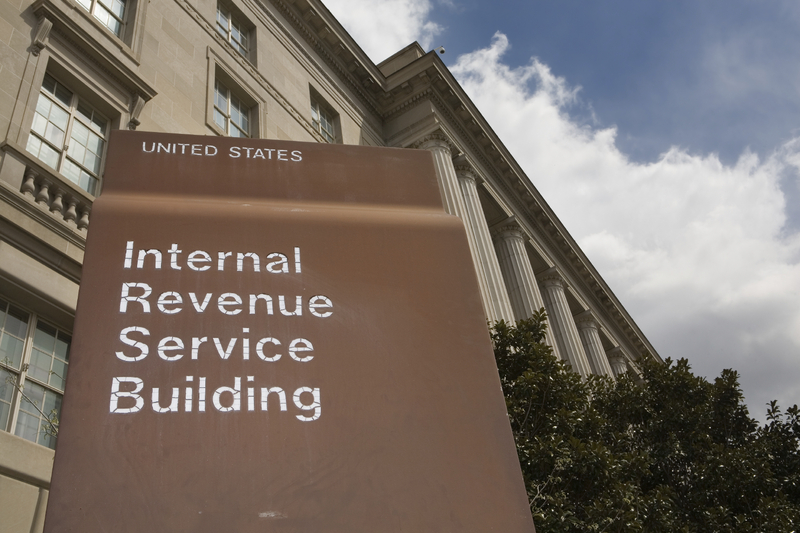 The IRS will grant a payment plan to individual taxpayers who owe less than $25,000. The taxpayer should respond to the IRS on the first notice by writing to theComplianceCenterrequesting 60 months to pay the tax liability. Your request for a pay­ment arrangement on small dollar accounts could also be made by transmitting the new IRS Form 9465 in response to a notice or accompanying an original return. An additional consideration in advising your client to file returns,-even if he or she does not have the– money to pay the balance of taxes due, is” that there are potential criminal penalties for failure to file a tax return. Therefore, if your-client should fail to file a return, and if the Internal Revenue Service should decide that such action constituted willful fail­ure to file, your-client might be required to defend against a federal criminal charge. the IRS. Politicians, tax protesters, drug dealers, organized crime figures and high income professionals are prime targets for IRS prosecution. The IRS uses prosecution for its deterrent effect on the general public, and these groups get larger headlines than the average guy on the street Congress has allocated additional funds to the IRS to pursue drug dealers. If a client has not filed, the IRS has authority to prepare a return on his or her behalf. [I.R.C. § 6020(b)] Obviously, the IRS will estimate the tax to its benefit, not that of the taxpayer. With respect to employment taxes, the assessment can later be abated if the taxpayer files returns. However, the author has found that the IRS does not readily abate 1040 liabilities prepared on the taxpayer’s behalf. The IRS prepares 1040s for nonfilers by inputting information returns into its computers and generating a liability. The IRS prepares, a dummy return based upon all information returns which the IRS has received from third parties. The taxpayer is not given credit for expenses, deductions, or other tax benefits. This procedure has resulted in many grossly erroneous assessments. Some are based upon information returns which contain errone­ous taxpayer ID numbers. Since the IRS ‘database contains many errors, on many occa­sions, notices of proposed assessments ‘are mailed to incorrect addresses. The author has found that the Problem Resolution Program has been an effective way to resolve the incorrect assessments generated by this process. The IRS has a nonfiler inventory of 6.8 million taxpayers, of which 1.6 million were selected for potential contact in fiscal 2004. The IRS focused on a questionable Form W-4 program as a first step in establishing higher levels of voluntary compliance with the filing requirements. One way for taxpayers to avoid filing is by inflating the number of de­pendents for withholding purposes on the Form -W-4. Although the number of question­able Forms W4 .reviewed in recent years has decreased, the IRS believes that reviewing additional W4s were improve filing and payment compliance across the W&l population. W&l would also devote more staff to the automated substitute for return (ASFR) program, which allows the IRS to create a return for a potential nonfiler so collection action on a possible tax debt can begin. With increased ASFR efforts, the IRS hopes to reduce the inventory of nonfilers. On September 22, 2008, the Treasury Inspector General for Tax Administration (TIGTA) issued a report with respect to an audit regarding the IRS’s nonfiler compliance program. The report came to the conclusion that the IRS program to oversee all efforts taken to plan, control and improve efficiency in identifying and working nonfiler cases requires ad­ditional improvements. TIGTA commended IRS for many of its efforts in the development of the program, which is known as the Service-wide Nonfiler Strategy. Nevertheless, TIGTA acknowledge that additional steps’ are needed to fully implement the program as Scheduled. For example, outcome and performance measures were not yet approved and ^ adopted. In addition, there was no system to properly track and monitor cases that are worked as part of program initiatives.-As described in the audit,-individual nonfilers are taxpayers legally required to file, for whom returns have not been filed by the due dates or extended due dates of the returns.. Business nonfilers are entities that have filing requirements, for which returns have not been received by the due dates or extended due dates of the returns, and are usually 90 days past due. Normally the IRS will initiate a delinquency check about 15 months after a 1040 is due from a nonfiler or nine months after the due date for stopfilers. In the case of business taxes, such as 941 returns, a delinquency check is begun eight to nine weeks after the due date, of the return. If a taxpayer retains a tax practitioner for preparation of delinquent returns, the practitioner mayrequest information return data from the Internal Revenue Service. W-2 and 1099 information are stored in the IRS computer system in a database known as the “Information Returns Program” (IRP). Upon request by a tax practitionerwith a valid power of attorney, the Internal Revenue Service will provide all of its IRP data to allow the preparation of a more accurate delinquent return. Therefore, if your client has lost some of her records, the IRP program will allow you to develop a more accurate return. (3) extending examinations to related taxpayers. The Internal Revenue Service (IRS) is contemplating the replacement of the antiquatedMidwest Automated Compliance System (MACS), a system specifically mentioned as part of the Compliance Programs and Projects Files Notice (Treasury/IRS 42.021), with a more cost-effective and technologically current system, the Compliance Data Environment (CDE). The CDE will functionally replace the MAGS and will not expand the categories of individuals or records covered by the system, nor increase the numbers of individuals or offices having access to the records. As with the MACS the CDE will provide a centralized, open architecture information system with tax return-data and other related information that IRS employees who need toanalyze and deliver tax returns for examination may use for such, purposes. The secure repository will allow authorized users to access the data from their IRS networked workstation. The IRS is engaged in extensive information sharing with state tax authorities which allows it to more effectively discover nonfilers and other tax omissions. The IRS Fed/State Program saves government resources by partnering with state government agencies to enhance voluntary compliance with tax laws. This includes facilitating the exchange of taxpayer data, leveraging resources, and providing assistance to taxpayers to improve compliance and communications. The IRS also assists state agencies by identifying and reporting information on emerg­ing tax administration issues. This is accomplished through the IRS entering into agree­ments to share information with the state agencies. To ensure the privacy of all taxpayer data, the Disclosure program provides oversight and education to all employees and external partners to ensure the protection of taxpayer confidentiality rights regarding Fed/State exchanges. There are more than 900 joint efforts underway. Examples include the sharing of examination reports, abusive scheme data, and licensing verification. Federal tax returns and return information. “Tax returns” include Form 1040, U.S. Indi­vidual Income Tax Return, as well as other income tax and information returns, such as Form 941, Employer’s Quarterly Federal Tax Return; Form 730, Tax on Wagering; Form 1120, U.S. Corporation Income TaxReturn; various Forms 1099, U.S. Information Returns; and Form W-2, Wage and Tax Statement. The states in turn share similar return informa­tion with the IRS. Since states have extensive information on business revenue on sales tax returns that info is a valuable resource for discovering nonfiling and underreporting. “Return information” includes everything else that has anything to do with a person’s potential tax liability. Examples are any information extracted from a return like names of dependents, business location, or bank account information; the taxpayer’s name, mailing address, or identification number; information on whether a return has been or will be examined or subject to any other investigation; information contained on transcripts of ac­counts or on IRS computer systems; the fact of filing a return; and whether a taxpayer HAS a balance due account. Normally the IRS will attempt to secure returns from nonfilers and stopfilers by sending notices from theServiceCenterrequesting that returns be filed. If the taxpayer fails to file in response to computerized notices, the IRS may follow up in several different ways. It may prepare tax returns for the taxpayer based upon information documents, attempt to contact the taxpayer by telephone, or assign the matter for field investigation. If the IRS determines that a telephone call is warranted, it will assign the matter to the Automated Collection System (ACS). The taxpayer will be called and asked to file the return. The IRS might also call neighbors, employers and others to gather information, on the potential tax liability. Having secured this information, the IRS might then prepare a tax return on the taxpayer’s behalf, if it is not filed voluntarily by the taxpayer. These returns are called Substitute for Returns (SFRs). The Internal Revenue Service will normally, issue, at least, four computer notices prior to investigating nonfiling with a personal visit or a personal phone call. These, notices are issued over a period of 26 weeks. In the case of business taxes, the Internal Revenue Service will normally issue at least three notices spaced over a period of 22 weeks. The Automated Substitute for Return (ASFR) process prepares a Substitute for Return for individuals who fail to file after notification. ASFR uses Information Return Program (IRP) information posted to the Information Returns Master-file (IRMF), to calculate potential tax due and issue a Notice of Deficiency. If no return is secured 90 to 120 days after the Notice of Deficiency is issued, ASFR assesses the tax due based on the calculation. ♦ Note: If the taxpayer is overseas then the Service cannot assess until after 150 days. (8) Form 1065,U.S.Partnership Return of Income. If other methods fail to secure delinquent returns, theComplianceCenterwill generate a Taxpayer Delinquency Investigation'(TDI). [App 1B] The TDI will be assigned to a Revenue Officer for investigation. A small percentage of TDI’s are generated by the Criminal Investigation (CI) and referred to the Collection Division for investigation as the result of informants. The Taxpayer Relief Act of 1997 permits taxpayers who fail to file a return and are sent a notice of deficiency during the third year after the return due date to obtain a refund of any overpayment found by the Tax Court that was paid within the three-year prior period to the notice of deficiency. The Tax Court had previously held in several cases that a nonfiler who received a notice of deficiency could only get a refund within two years of the due date of the return, not three years. In any instance where a client has failed to file tax returns, the practitioner should be alert for indications that the IRS has referred the matter for criminal investigation. Unfortunately, we are not normally present at the first interview of our client. Therefore, we must query our client as to the nature of the first interview. If the IRS representative had a gold badge, your client may be the subject of a criminal investigation. Special Agents with the Criminal Investigation Division (CID) carry gold badges. Revenue Officers, Tax Examiners and Revenue Agents do hot have badges and merely carry photo ID’s. If your client is read his “Miranda” warnings, it is almost certainly a criminal investigation. If you believe that the IRS has initiated a criminal investigation, secure competent criminal fax counsel for your client immediately! An investigation of nonfiling by a Revenue Officer, Tax Examiner, or Revenue Agent also has the potential for becoming a criminal matter. All IRS agents may refer matters to the Criminal Investigation Division (CID) when they believe the taxpayer should be prosecuted for nonfiling. Revenue Officers, Tax Examiners, and Revenue Agents do not set a deadline for filing if they intend to refer a matter to the CID. (2) When firm indications of fraud exist, do not contact the nonfiler or solicit the delin­quent tax return(s). (a) History of nonfiling—Multiple nonfiled years providing a pattern of behavior. (b) Repeated contacts by the Service—History of contacts by service personnel for failure to file. (c) Indications that the nonfiler had knowledge of filing requirements (i.e., professional with an advanced education, person who works directly in the tax field). (e) A large number of cash transactions (i.e., purchases by cash, cash deposits as evidenced by CTRs in the case file). (f) Indications of significant unreported income (i.e., substantial interest and dividends earned, investments in IRA accounts, stock and bond transactions, high mortgage inter­est paid) per Information Return Processing (IRP) or Taxpayer Delinquency Investigation (TDI) documents. (h) Frivolous returns. IRM 4.19.171.1.3. If indicators of fraud are evident and with the concurrence of the FRS, the case will be updated to AIMS status code 17. The employee will proceed to fully develop the potential fraud issue(s) with the guidance and recommendations of the group manager and FRS. The following actions should assist the employee in developing firm indications of fraud. 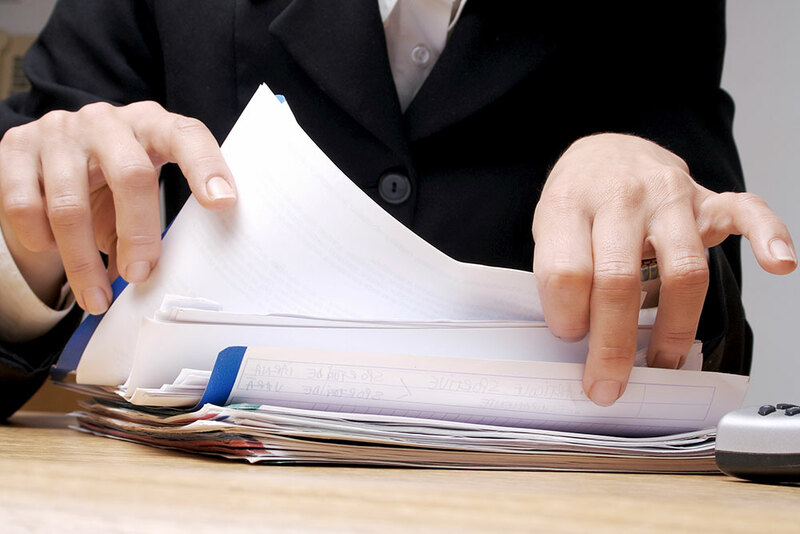 Interview the taxpayer to determine the reason or the intent of the taxpayer’s noncompliance. Document verbatim, if possible, the questions asked and the taxpayer’s response or lack of response. Identify any personal reasons that could affect the taxpayer’s ability to comply. If the information is unavailable from the taxpayer, attempt to secure the information from third party sources. Securing current financial information including checking public records for assets and a physical observation of the taxpayer’s residence, place of business or both. This information will be used to determine whether the taxpayer is prospering and has the ability to pay the taxes, or not complying due to an inability to pay taxes. Procedures for developing fraud referrals and preparing Form 2797, Referral Report of Potential Criminal Fraud Cases, are contained in the Fraud Handbook, IRM 25.1. CI has 30 days to evaluate the fraud referral and to make a determination to accept it or decline it. A request for an extension of time would require the ap­proval of the Special Agent in Charge (SAC). A second five-way meeting will be held to discuss the final determination of the case. For IMF cases, go to the ICS Del. Ret. Module Summary screen, press the <F6> key, and then select Option “F,” CI Referral (IMF only). This will close the Del. Ret. module as an acceptance to CI. Taxpayers failing to file tax returns due will be requested to prepare and file all such returns except in instances where there is an indication that the taxpayer’s failure to file the required return or returns was willful or if there is any other indication of fraud. All delinquent returns submitted by a taxpayer, whether upon his/her own initiative or at the request of a Service representative, will be accepted. However, if indications of willfulness or fraud exist, the special procedures for handling such returns must be followed. Where it is determined that required returns have not been filed, the extent to which compliance for prior years will be enforced will be determined by reference to factors ensuring compliance and evenhanded administration of staffing and other Service resources. Factors to be taken into account include, but are not limited to: prior history of noncompliance, existence of income from illegal sources, effect upon voluntary compliance, anticipated revenue, and collectibility, in relation to the time and effort required to determine tax due. Consideration will also be given any special circumstances existing in the case of a particular taxpayer, class of taxpayer, or industry, or which may be peculiar to the class of tax involved. 5. Normally, application of the above criteria will result in enforcement of delinquency procedures for not more than six (6) years. Enforcement beyond such period will not be undertaken without prior managerial approval. Also, if delinquency procedures are not to be enforced for the full six year period of delinquency, prior managerial approval must be secured.